Presemt to employees and clients as promotional gifts. 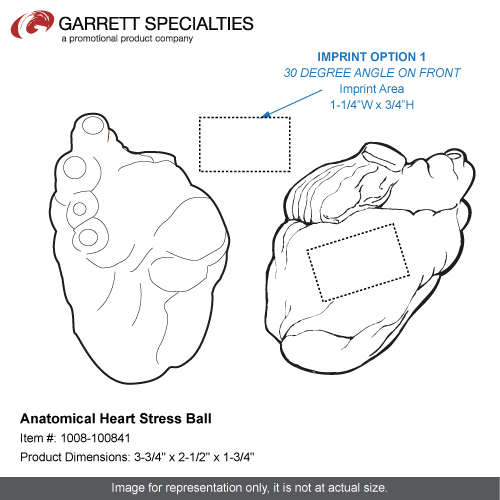 Anatomical Heart Stress Ball is great for promoting Heart Disease Awareness.When your heart starts racing, this anatomical heart with no veins shaped stress reliever will be there for you! With a few squeezes, relief will be in sight. Customize with your logo to create a cool giveaway. 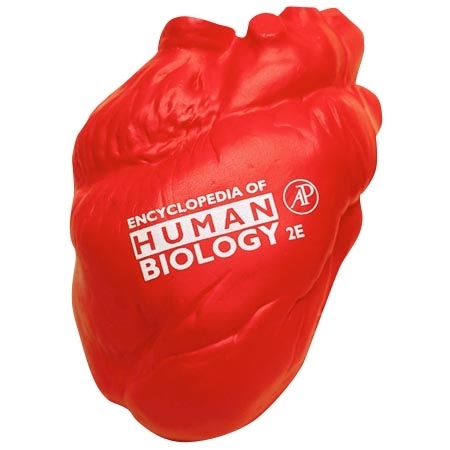 Perfect for blood drives, health expos or even a different kind of valentine's gift! Safety tested and intended for adults or for general use by consumers of all ages. Not intended for children under three years old or for pets. 3-3/4" x 2-1/2" x 1-3/4"
Bulk / 26 lbs / 300 pcs. / 24" x 14" x 15"box.